Denim And Plaid Hats Are A Do! Bad hair days are made better with the addition of a fabulous hat. 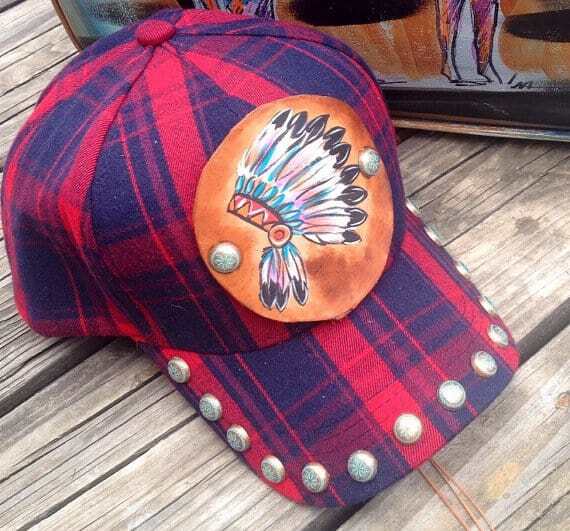 These denim and plaid hats by The Cowboy Junkie will have you looking put together and polished. Cozy plaid or denim is accented with studs and a hand painted leather patch by Deanna. Deanna from The Cowboy Junkie is the original painter of leather tack and accessories, her work speaks for itself.